Perhaps you’ve visited your physician lately because of joint pain, and she tells you that you have arthritis. Maybe she mentioned “degenerative joint disease” – which sounds even worse! Well, these two things are basically the same thing – inflammation of the joint. Many people think that the arthritis diagnosis is inevitable especially as we get older, not realizing that there is something to do to correct it, not just mask the symptoms with pain relievers. There are several different kinds of arthritis but we are talking about Osteoarthritis (OA). This is the most common form of arthritis. It is often called “wear and tear” arthritis and happens when cartilage in the joint breaks down creating the painful symptoms and joint swelling. One of my clients has arthritis in her hands…stiff sore inflamed joints-ouch! But it’s not really about her hands at all. Her shoulders are rounded forward, causing her elbow and wrist to be out of alignment. All the joints are not moving well together and there is friction in every text and email she sends. So, we’ve got to get her shoulders back into proper alignment, which will get her elbows in place and on down to her wrists and fingers. At Pain Free, we teach people how to get their bodies back to the original design – joints back in an equal bilateral position and the rest of the body aligned in strait lines, at 90 degree angles to the line of gravity. So, don’t despair if you are experiencing arthritis pain – the healing power of your body is amazing! You just need to know what to do and we’re here to help. CHRONIC INFLAMMATION – WHAT DOES IT MEAN? We tend to think of inflammation as redness, swelling, stiffness and heat. We experience it when we twist our ankle, bump our head, cut or burn ourselves. This type of inflammation is known as acute inflammation. When trauma occurs to the body, our immune system dispatches cells, chemicals, blood and other fluids to protect and heal the damaged tissue. This biological reaction is a brilliant immune response. However, there is a different type of inflammation that might be damaging your joints and organs without you realizing it. This low level or low-grade inflammation is called chronic inflammation. Unlike acute inflammation, the swelling, stiffness and heat are so subtle that it is almost undetectable. Again, the body is providing this immune response to protect, but when the stimulus is so constant the inflammation begins to work against us. Chronic inflammation is one of the telltale signs that joints are misaligned. Misaligned joints lose space and their ability to absorb shock, making them susceptible to excess compression, friction and tension. The misaligned joint does not allow the connective tissue in an around the joints to do their job to rehydrate or repair. Eventually chronic inflammation and joint compression escalate and cause stiffness, tenderness, swelling and pain. By the time you notice the symptoms of chronic inflammation in one joint or region of the body, other areas have already been affected. At the first sign of inflammation, the body begins to compensate to avoid pain. 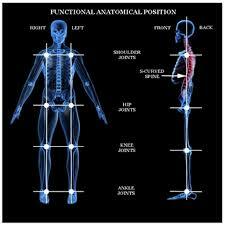 This is a good thing in the short-term however it can be devastating to our alignment and posture. Nerves are compressed, which can cause tingling, numbness, and pain. Muscles become fatigued, strained and out of balance which can cause soreness, inflexibility and pain. You may experience neck pain, back pain, shoulder pain, hip pain, and foot pain all because muscle imbalance and misaligned joints are creating it. What is the cause? POOR POSTURE. It’s important to understand the effects of chronic inflammation because according to the Centers for Disease Control and Prevention, half of us will develop degenerative joint disease or osteoarthritis as outlined above. Because most current medical treatments do not address the root cause of the disease, joint replacements become almost inevitable. We provide an alternative to this unsettling prognosis. The Egoscue method of pain management focuses on joint position and muscle imbalance. In the first two-hour session, we take posture photos, analyze gait, and perform functional movement screens to determine where the muscle imbalances are that are creating misaligned joints and chronic inflammation. By correcting these imbalances, and returning the body to proper alignment, the connective tissue will be allowed to do its job, inflammation will decrease, and you are on your way to keeping your joints for life! You will not only be pain free you will be inflammation free.